The holidays have always been my favorite time of the year. Coming from the west-coast and moving to the east, it’s the only time I can get a chance to catch up with my family. I can find out what new cookbook my mamma is working on, to how retirement is treating my father, and view some videos of my brothers’ new life in sunny California. Let’s not forget, also find out my relatives’ travel plans because everyone knows I love having a huge get together at my place for a traditional Christmas Eve dinner. Another thing I love about the holidays, and I am sure I am not the only one, is seeing jewel colored perfectly wrapped boxes decorated with shiny ribbons placed under the tree. When I was a kid I would stare at these boxes in anticipation, shaking them to try and figure out what was inside at the same time counting down to December 25th. I don’t know about you, but one of the joys of living on the east coast is having my city covered in snow, which is quite magical, but also tough when it comes to shopping. I have to bundle up in my Sorel boots and Canada Goose coat just to stay warm for the short walk from my house to the car, and from the car to the mall. Then it’s hunting for parking and between you and me, the parking gods are not on my side. By the time I start my shopping, I am sweating and trying to figure out where I can put my jacket. That’s not all, after I have gotten all the gifts, there is the visit to the stationary store to pick the perfect gift wrapping paper with ribbons and then off to watch YouTube videos on how to wrap my gifts perfectly only to give up and end up dumping everything in gift bags. Sadly, I didn’t inherit my mamma’s gift wrapping abilities. This year, I am going to be smart and take advantage of all the complimentary amenities available from my local mall, Yorkdale Shopping Center. 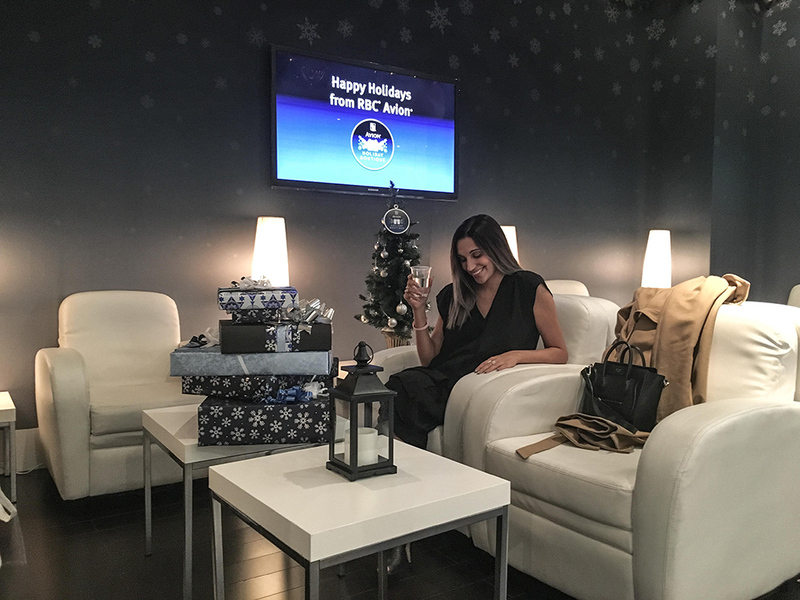 Thanks to the RBC Avion credit card – I have exclusive access to the Avion Holiday Boutique! As an Avioner, I can say goodbye to hunting for parking or praying to the parking gods – I’m going valet! The Canada Goose jacket that I wore for the walk to and from my car – I’ll be putting it in coat check, so I can shop all I want without feeling like I’m in a sauna. 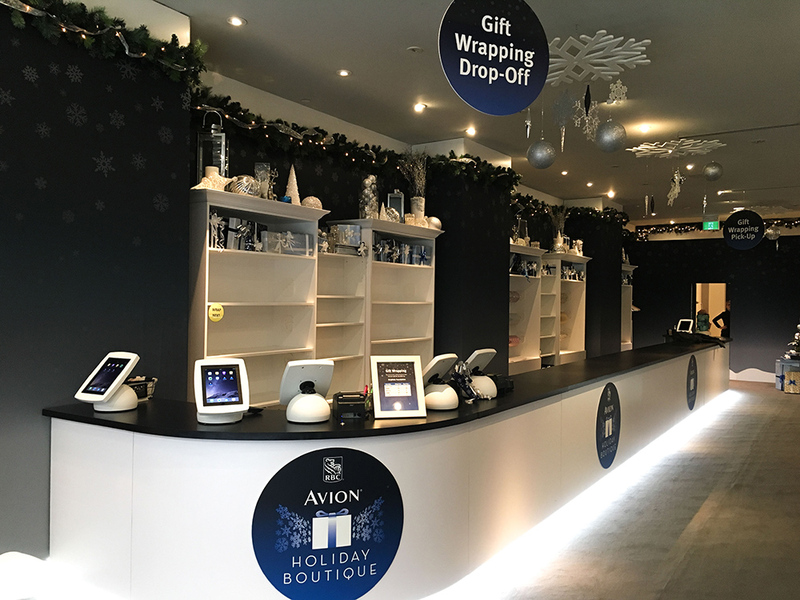 Oh the gift wrapping dilemma –Avion has me covered! I can drop off all of my gifts and pick them up later, beautifully wrapped and topped with the perfect ribbon – bye bye gift bags! 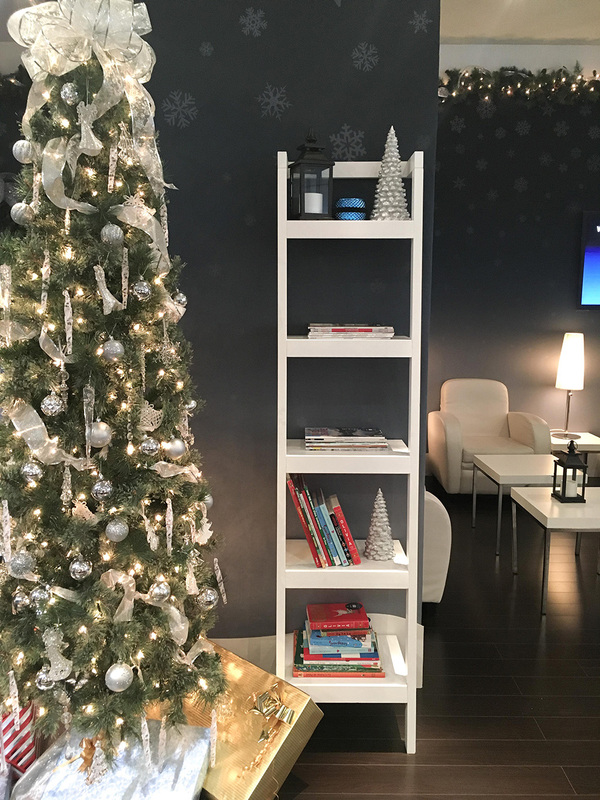 I can take advantage of all of the other amenities the Avion Holiday Boutique offers, like a complimentary cafe and resting spot so I can take a breather and recollect myself before I head out and grab everything for everyone on my list. Thanks to the RBC Avion card and the Avion Holiday Boutique, I can focus on what’s important – my family. I can spend time catching up on what’s new in their lives and what’s planned for 2017. As for children, I can share with them the same joy I had when I celebrated the holidays with my family. From the turkey dinner, singing yuletide carols and gathering around the tree to the countdown for when they can run and open their gifts. I have to say the best is watching them tear apart their beautifully wrapped gifts and squeal in surprise from their content. -Exclusive access to the Apple Store on December 17th and December 31st for Avioners only PLUS a $50 iTunes gift card with purchase. -RBC has partnered with some of your favorite brands so you can earn points 2-3x as fast, such as Saks Fifth Avenue, Apple and more. -Parcel drop-off to help you stay light and hands free while you shop. -Get a Virtual Reality experience in to the world of RBC Rewards. Take some time out and getaway to a sunny location or a beach, find out what rewards are available to you with your RBC Rewards points. -Get access to exclusive rewards with the Avion Passport App. Don’t have the app? It’s okay, download the app and take advantage of their complimentary gift wrapping station. -My favorite, book the perfect vacation on any airline, hotel and there are no blackout periods! Sounds like the red carpet is being rolled out for you! What a lovely way to shop for the holidays. It totally feels like it, and best part – they do it for anyone that has the RBC Avion card. Best credit card ever with all the necessary perks one needs and then some.